This exceptional villa is for exclusive private holiday rental, yoga retreats and Art holidays. 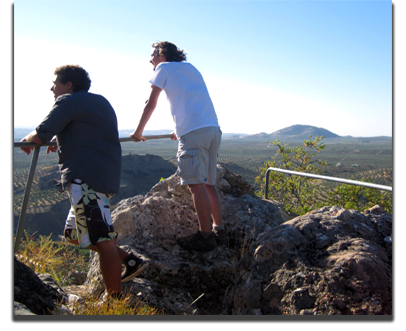 See our course program for Yoga retreats and Art holidays. 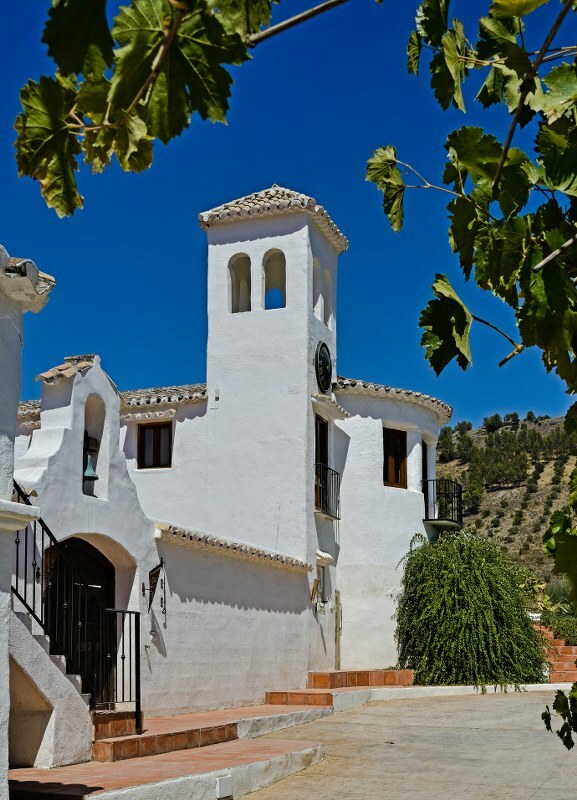 This large villa sleeps up to 22, and is perfect for family holidays, large group celebrations, parties, weddings, walkers, mountain bikers and for discovering the hidden delights of a truly undiscovered Andalucia. This remarkable Andalucían Oasis is situated within an easy day trip of the historic and ancient cities of Granada, Cordoba and Jaén, sitting proudly and majestically amidst the olive groves, with uninterrupted views over the beautiful dramatic landscapes of the Sierra Sur. Whether you are a beginner or an experienced artist you will be welcomed to Cortijo Las Salinas where your inner creative self will be discovered. Resident artist and art teacher, Steffi Goddard, will help you to develop confidence and a personal direction in your artwork as you paint in the warm sunshine surrounded by spectacular scenery, landscapes and sunsets in the heart of Andalucia, Southern Spain. We have a wonderful venue for you to bring your yoga or fitness group to or if you would like to join in with any of the Retreats here this year, click here to find the perfect Retreat for you. “Magical location, like a “movie set, but real!